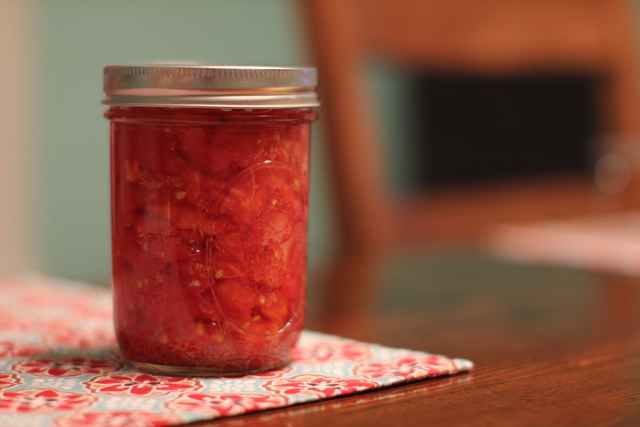 I’m a total rookie canner, but with a few batches of pickled beets under my belt, I figured I could handle tomatoes. But just to be sure, I did some internet research and I even went to a demonstration at our local farmer’s market to learn some tips and tricks. 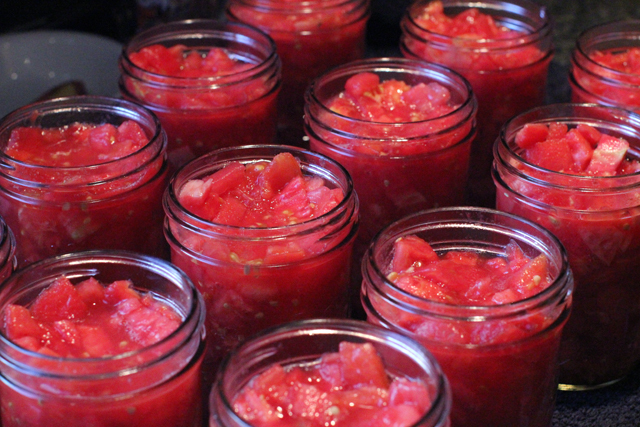 With a mountain of tomatoes, some glass jars, Â I was ready to get this party started. 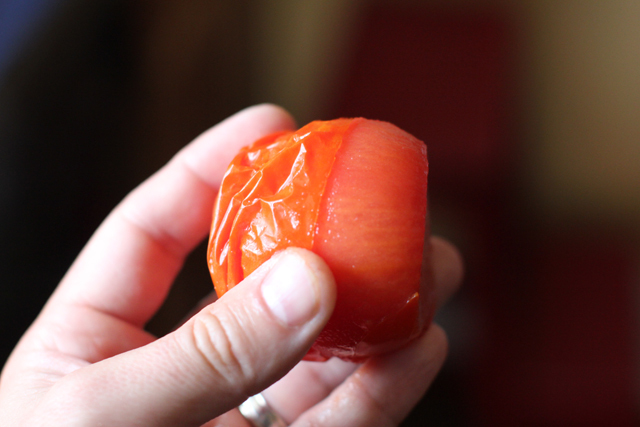 It sounds like you can be as simple or as complicated as you want with prepping your tomatoes. 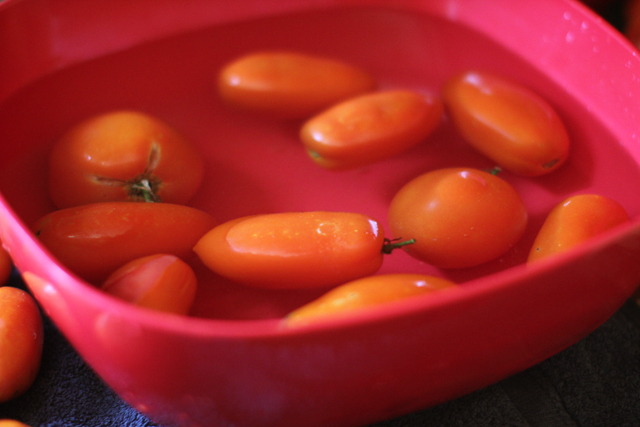 I could have just shoved whole tomatoes in jars and corked them up, or I could peel, de-seed, and chop them up first. I opted for an option somewhere in the middle. I peeled and diced them, but didn’t de-seed them. 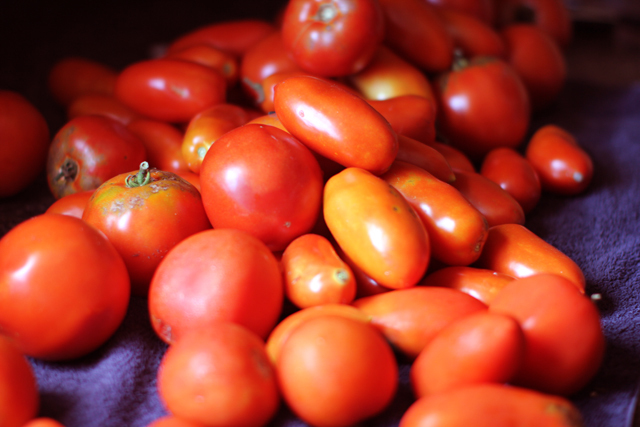 Either way, I got through the giant pile of tomatoes and was ready to start canning. Everything I read stressed to sterilize everything which made me a little paranoid. I didn’t want to give me family botulism. But didn’t people can back in the olden days? Like when people lived in wooden houses with dirt floors and everyone took a bath twice a year? How sterile could their jars have really been? These thoughts didn’t stop me from washing my hands like I was going into surgery and treating my product and utensils as if I were sending them into space. 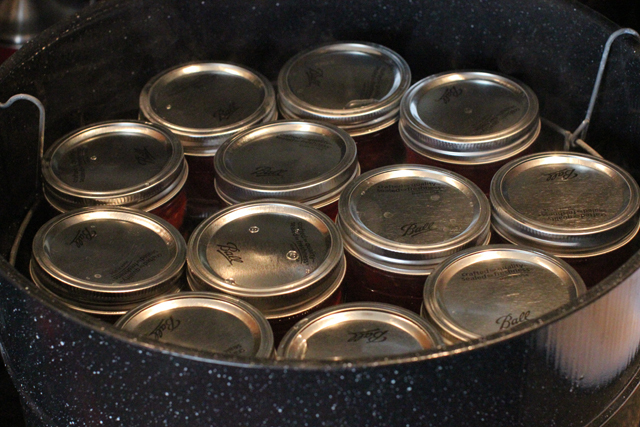 After my jars were packed, sealed, and processed in the water bath canner, all of the lids popped ensuring they had indeed sealed. And if needed, they were ready to be packed on the next Mars rover. This first batch I did yielded 12 jars, and then a few weeks later, another batch produced 10 more! 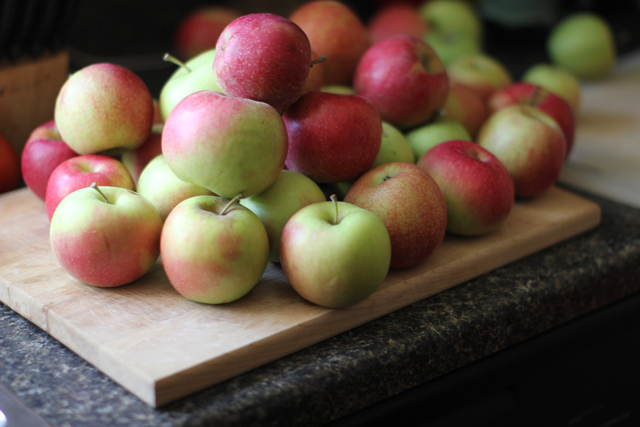 Next up, a half a bushel of apples to turn into applesauce. I am so proud of you! I’m sure Grandma Mazure was right beside you ‘helping’ all the way . She must be beaming with pride!